Clermont continued their ominous start to the Top 14 season by crushing Stade Francais, who started the day in second place, 42-13, on Saturday evening. Elsewhere, Racing 92, thrashed at home by Clermont last week, rebounded with seven first-half tries against Agen on the way to a 59-7 victory, although they finished without Joe Rokocoko who collected a yellow card in the first half and a red in the second. 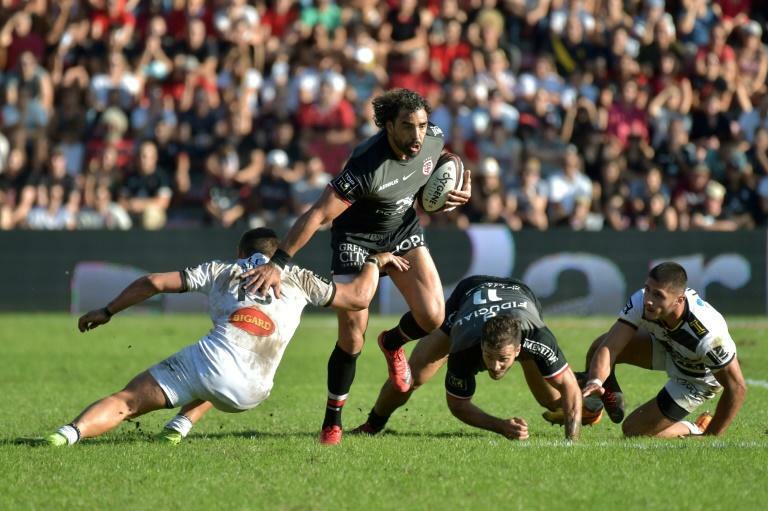 There was also a try-filled victory for Toulouse over La Rochelle, while Lyon's win at Perpignan was a far tauter affair and Bordeaux-Begles and Montpellier fought out a grim draw. Last season, Clermont could not overcome a long list of injuries and failed to finish in the top six, missing the playoffs for the first time since 2006. Already this season they have lost backs Alivereti Raka and Peter Betham. On Saturday it did not matter. George Moala, who arrived from Auckland Blues in the summer, made his club debut and scored two of Clermont's five tries. 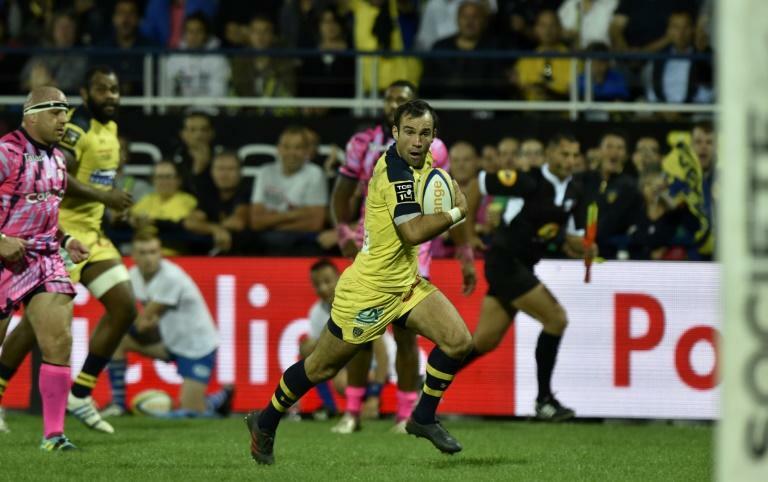 Morgan Parra, making his first start of the season, captained the side and scored a try and kicked 10 points as Clermont picked up a bonus point. Stade finished with 14 men after Tony Ensor received a red card for a dangerous tackle, but they salvaged some late pride when Julien Delbouis scored their second try in added time. Toulouse survived a late scare to beat visiting La Rochelle 33-26 in a nine-try encounter. The home team dominated from the start and took the lead with a try by Julien Marchand after 23 minutes. Slick passing then yielded touchdowns before half-time for Zack Holmes and Yoann Huget. Four minutes into the second half, Alban Placines, who had just come on, bulled over to increase the lead to 24-0. "We weren't ready," said Alexi Bales, the La Rochelle scrum-half. La Rochelle hit back as 20-year-old back Eliott Roudil, a half-time replacement, burst through some half-hearted Toulouse tackling to score. Thomas Ramos restored the 24-point gap but Roudil again broke through to score. With five minutes left, wing Arthur Retiere squirmed over in the corner and two minutes later, after more weak Toulouse midfield defence, added another to make the final score close. "We'll take the first sixty minutes but we cannot escape the fact that the last twenty are unacceptable," said Regis Sonnes, joint head coach at Toulouse. "The appetite we showed in attack we must also put in on defence." In Bordeaux, the talking point after an attritional 9-9 draw was the 10th of 11 substitutions by Montpellier. Trailing by three points, the visitors brought back Francois Steyn, who had come off 12 minutes earlier, for Yvan Reilhac, under the rule designed to protect players who might have been hurt. Laurent Marti, the Bordeaux president, was furious. "When there is a concussion, there is a concussion protocol and I did not see a concussion protocol," he said. "It looks weird. "Everybody should respect the rules." The home team dominated much of the game but wasted chances to score and finally ran out of momentum. Montpellier coach Vern Cotter said it was "a typical early season game." "You can't say it was a pretty match," he said. "We are satisfied to leave with two points."